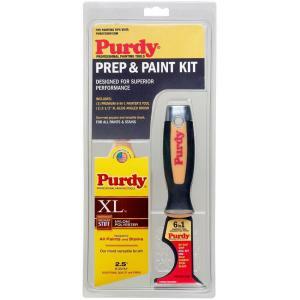 Purdy sent me their Prep & Paint Kit just in time for our bathroom remodel. 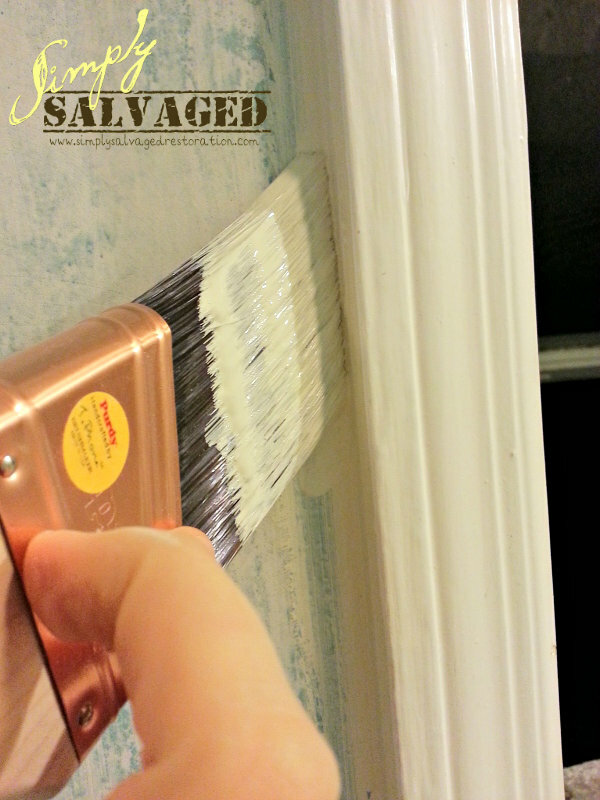 Once the joint compound was smooth, it was finally time to get some paint on the walls! 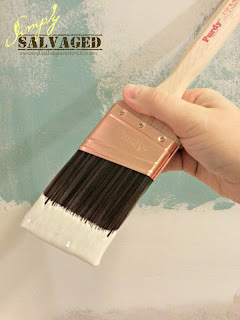 The painter's tool should be in everyone's tool belt. Seriously. It's got a scraper on one end and a hammerhead on the other. It's made from high carbon steel & has a lifetime guarantee. Can't beat that. 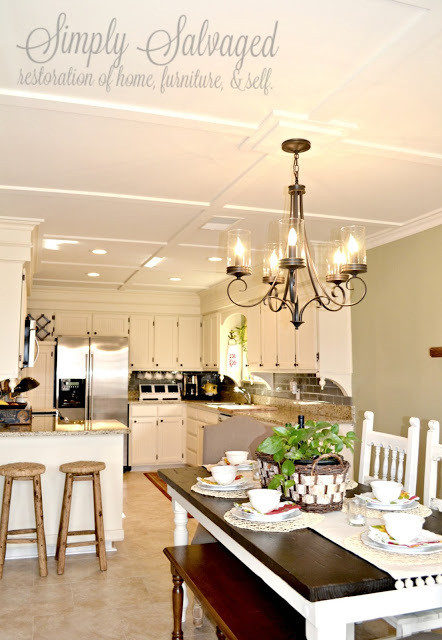 When cutting in, it's best to make sure you have plenty of paint on your brush, and use long, slow, brush strokes. Purdy brushes hold paint really well which is extremely helpful during projects like this. 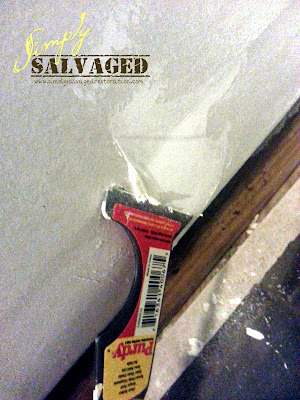 and as you're painting along, if you run across any chunks of left behind sheet rock mud, just scrape them off! Last week, I used it in my bathroom remodel several times, last night I used it to chisel gum off of the bottom of an old church pew... yack! It's like a flash light, every house should have one. 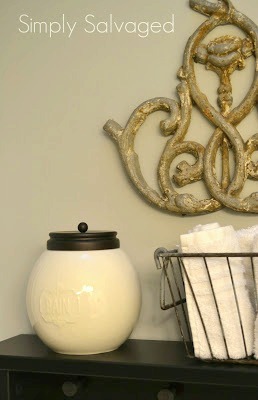 You'll have to be sure and check back soon for our bathroom REVEAL! 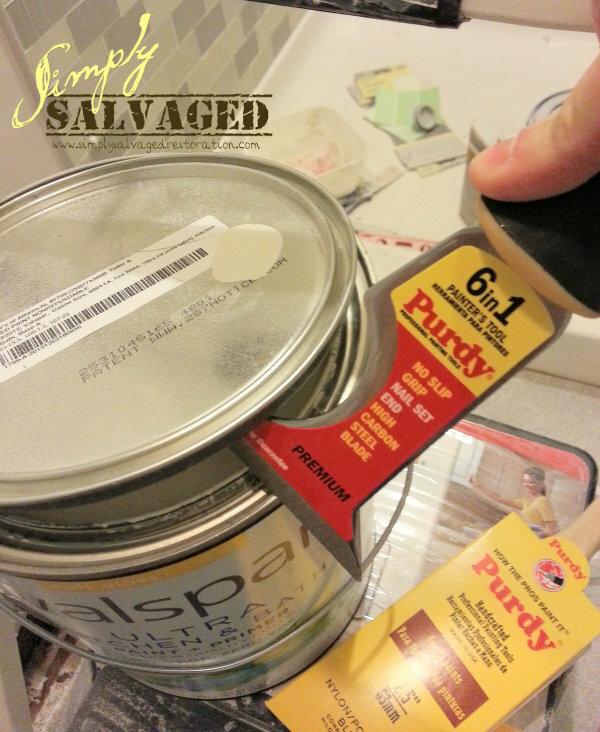 Also, don't for get about Purdy's Save the Walls sweepstakes- it's not too late!!! I remember explaining the cutting brush to you not long ago. You've come a long way.